Charlie Winston: Not bad, yeah I’m feeling good. I feel good. I’ve been on tour since January and we’re really on the flow now, all set. Yeah, because I think before starting a new tour you don’t know what’s gonna happen with the new album and all the new things. So all is all right for you it is all that you expected? Charlie Winston: I don’t really expect anything, I try not to expect anything because expectations are pretty dangerous. But I’m really enjoying festivals right now I’m doing lots of big ones, lots of small ones and middle ones. What about Paléo Festival do you know this festival? Charlie Winston: Yeah I’m really happy to be in Paléo, it’s my third time now. And I have many good memories. I was wondering what are we gonna read in the media tomorrow about your concert tonight. Charlie Winston: No actually I don’t wonder that at all because I never read the media. I have no idea what people write about my concerts cause I never read them. So you’re gonna have to wait and brace. So how do you organize your songs today? Charlie Winston: That’s a good question because after this conference I’m gonna go to my band and we’re gonna sit down and organize the setlist. We’re gonna change it a little bit from what we’ve been doing recently because it’s a big festival and mostly this year I’ve done a lot of my new album first in a set and I think we’re gonna put a few older songs at the beginning just to remind people who I am, you know, otherwise they’re gonna be like “Who is this guy?”. (laughs) Yes. CurioCity has a much more electronic shape than your previous records. How do you explain that electro is becoming more and more present in the music landscape and why did you decide to give this electro-pop direction to your new album? Charlie Winston: Well, I think the reason why electro is becoming more and more prevalent it’s because it’s not been as explored. It is still young, it’s still being explored, electro started a long time after guitar music so it’s still in the exploration stages really. And because the technologies are making such massive advancements there are always new things in that world. It was partly why I turned my head to it, because I feel like I need to evolve and I didn’t start writing songs to be a folk musician. And the more I was labelled as a folk singer it was a little bit disturbing because I always had influences and interests in so many different styles of music whether it’s jazz or electro, classical or folk, and rock as well. So for me is just a way to evolve but also it was a way to impress my interest in the direction of man, because we’re fusing more and more the biology and the technology. And I wanted to have this feeling on my record, I didn’t want to make an electro album, I didn’t want to make an acoustic or rock album but I wanted to have a creature that was between all of them and all of them. Where did you find the inspiration for this? Charlie Winston: I listened to a lot of Alt-J, James Blake and Lorde. Who else? Metronomy. A lot of English acts actually I’d always spend a lot of time either looking back to the 60s and 70s American and English artists or I was looking at a lot of European artists and African and Indian artists, basically everywhere outside of the UK. And for this album I moved back to London, I bought a house in London, I built a studio in London and I decided that because I had become so famous in all these European countries I thought like it was time for me to revisit my own language and my own sound in my country. And I think it’s also because, and this also answers your question again, electro is very very big in the UK so I think naturally I came back from England listening to a lot of that sounds and it just naturally became part of my sound. And this new album is also a change in your vision of life. Is that true? Because you were in Paris, you were another one before. Charlie Winston: Yeah, it’s a change of my vision in life really because I see my three albums as representing really clearly the three stages of my life. My first album (Hobo) is very much about the influences my parents’ generation had on me, like some very vintage, folky, soul as well. all the influences there. And then my second album (Running Still) was more about the influences as a teenager growing up in the 90s kind of period, sort of early hip hop and punk rock and stuff like that. And then on this album I didn’t really want to keep looking back always and I wanted all the songs written in this album to be written about my life now. And so everything that I thought about on this record was completely about my life now. So a lot of the subjects on the record are very much me kind of drawing a line between my past and my present. Ok but is it why the first single is “Lately” does it mean something to say “Hey this is the new me”? Charlie Winston: Kind of, I mean that first single was more for me about the sound of the record. I wanted people to know from the beginning that I wasn’t going to do Hobo number 2 or Hobo number 3. And I was moving into a new territory, and I wanted to take a risk as well you know when you risk something then you open yourself for the possibility of failure, which is a really exciting thing. But you speak a lot about the sound. Are the lyrics also important for you? Charlie Winston: Yeah, yeah really much. “Another Trigger” is about moving into my house in London and feeling quite uncomfortable with owning a house and waking up in the same bed every day. “Too Long” is an extension of that idea. I’m good I’m so sorry. Charlie Winston: Do you want some water? Charlie Winston: “Too Long” is about feeling like I was a bit trapped in this house and I needed to get out and like open my mind, so I went into a three month road-trip around the UK. And “Evening Comes” is about making a transition between old and new. And about my passions changing it’s the first thing I say in the song. “Wilderness” is about how we’re moving us man into an agent, an unknown agent. I believe the man as a species is like this century is gonna finish and we’re gonna move into a new species which is gonna be like super human. So all the lyrics are about now. So which song do you prefer from your last album and why? 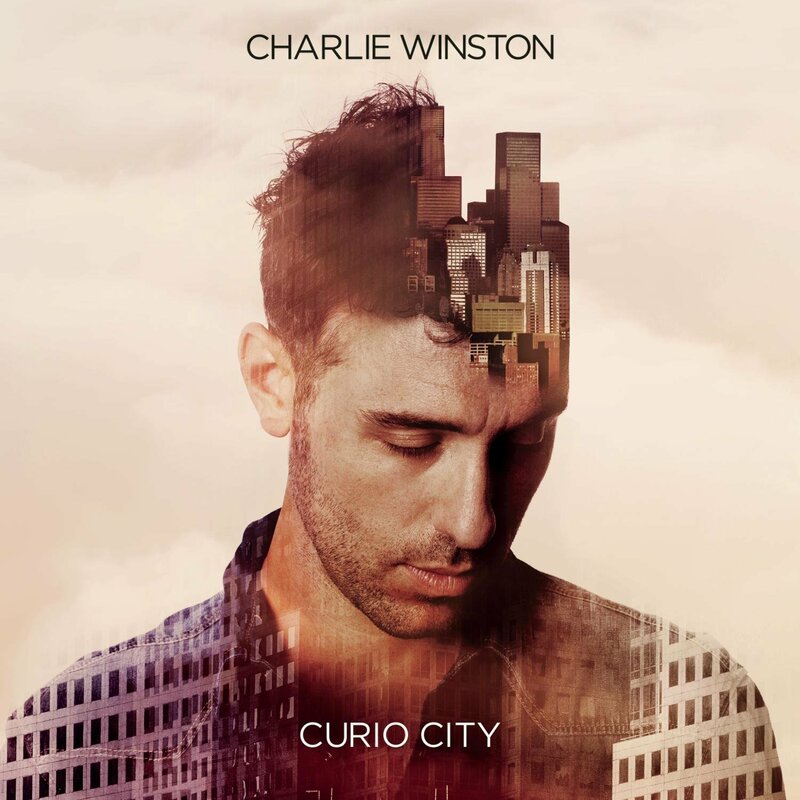 Charlie Winston: It changes per day I think my favourite song in this album is probably “Too Long” because it’s exactly like the mix of the songs that I really wanted to have and the energy is really pure. I don’t know, if I listen to the record I get a different feeling about each song. And each song is really about my life right now. I was really really happy with “Wilderness”. I think that “Wilderness”, “Too Long” and “Truth” they’re probably my three favourites, maybe. Maybe, I don’t know. In 2009 you did a wild concert in Paris and now you’re not really an hobo anymore. Would you do it again now? Charlie Winston: A wild concert? Yes in Paris, free, mobile? Charlie Winston: Oh in the street? In Pigale? Yeah I’d do that, yeah it’s fine. I mean you know I grew up my whole life playing concerts in strange places. As I was saying to you earlier on I don’t want to necessarily continue to push this image as a folk musician. And when I do these kind of concerts with the guitar that supports this image of the folk musician and I just want to move myself away from this. So I think that’s why I’ve done it less. Charlie Winston: Well, that’s a good question. It’s a question between being an artist and getting to evolve in the business, and it’s a difficult thing because every artist has ego and an ego is like a coin it has a bad side and a good side, you need to know how to spend it. But it is there, but it is all about conversation with myself. Like Nietzsche said you have to be your master and your disciple as well. Sometimes the disciple needs to speak but sometimes the master needs to say “Ok, stop now! You’re talking too much about this subject move on!”. And you’re always going between those two teacher and student thing. It’s a matter of personal disagreement. But it can be a pressure and it can be an unpleasant conversation in my head. But it’s all about interpretation, if I’m writing songs and I’m inspired by the songs then I forget everything. What does music allow you to do that you couldn’t do in any other way? Charlie Winston: What does music allows me to do that I couldn’t do in any other way? I think it allows me to speak a universal language so it opens the doors to communicate with people that I can’t communicate with otherwise. I think that maybe that’s the most powerful thing about music it’s that it’s so universal and so inclusive. Yeah that’s it really. With which artist you would like to collaborate? Charlie Winston: None of them. Kendrick Lamar is someone I love. I discovered recently his latest album and that’s my favourite album at the moment. Charlie Winston: Björk, I’d love to work with Björk. I’d love to work with Robert Plant actually you know he is an amazing, amazing musician. I think I’d always be interested to work with artists who for me take risks and like to experiment and evolve. You know bands like Alt-J and Radiohead they’re inspiring bands, I know I’ll probably never work with them but they would be the kind of people that they’d inspire me to work with. What I admire about you as an artist and about your live shows is the way you connect to the audience. How do you do that? What does it give to you as an artist and as a person? Charlie Winston: Well for me playing on stage I don’t feel it’s about me. Even though I’ll maybe perform in a way which is you know.. I’ll do some iconic moves or poses or ways to sing or express. But really I’m just seeing myself as an opportunity for people to let go and to understand that we are all the same. We are just living all the same problems and happiness. So for me a concert is an opportunity to take a lot of disparate, different energies and to try to converge them into one energy and that’s why I make a huge effort to connect with people because I’m just like the ping pong table really you know people are gonna smile at me and I smile back and I send it that way and that way. And then having people sing or wave slowly over a period of a concert it brings everybody together. What can we expect from Charlie Winston in the future? I love your clothes and I’d like to know who’s your fashion stylist. 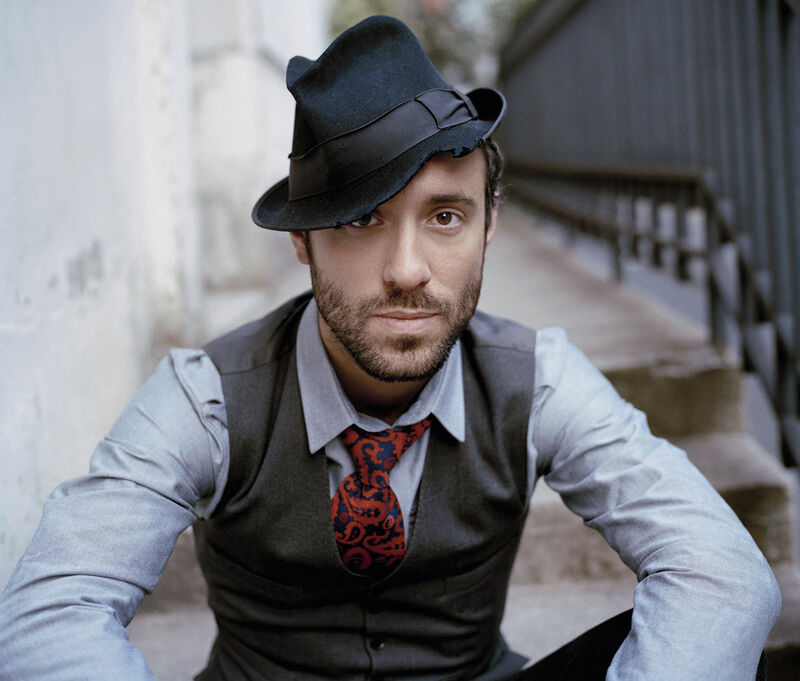 Charlie Winston: Who is my fashion designer? Yeah. For your clothes, it’s amazing. Charlie Winston: I have no idea but it’s called Junky styly. Junky styling. Ok? Charlie Winston: My pleasure, thank you! ← CONCERT REVIEW // The Vaccines // Post Tenebras Rock – L’Usine, Genève, 4.10.2015 – Cos I got so down I held the world to ransom. Lonely, bored and bad thank god I’m handsome.